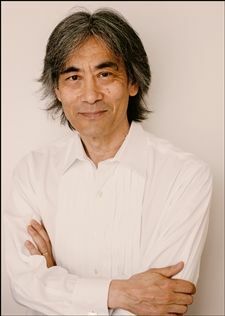 I’ve tended to avoid performances of the Orchestre symphonique de Montréal under Kent Nagano during the past few years as they have invariably fallen short of expectations. Nagano demands little of his musicians, mostly focusing on marking time and indicating where musicians should start and stop. But it’s hard to resist an opportunity to hear Bach’s magnificent Mass in B Minor, the complexity, refinement and sheer breadth of which continues to astonish and inspire. On Thursday evening, however, hopes were dashed right from the opening notes of the “Kyrie”. The high voices (numbering 24) overpowered the lower (17), and the combined chorus overpowered the reduced orchestral forces of about 30. The playing was muddy, the balance off-kilter, and especially in the “Kyrie” and “Gloria” the music just plodded along—no evolving momentum, no tension and no architectural arc uniting the work. This might be considered a Zen performance! Moreover, the men’s chorus lacked confidence and their entries were ragged. Climaxes were unprepared. The pauses were too long. Even the soloists’ dresses clashed! Soprano Yeree Suh wore black with dusty gold accents, while mezzo-soprano Maire-Nicole Lemieux was in dull teal. Lemieux, one of Quebec’s musical treasures, got off to a shaky start in the “Christe eleison”. Her voice sounded tired and she tended to push her high notes. In “Laudamus te” her voice had a harsh edge. She hit her stride in the “Credo”, however, and concluded with a velvety-voiced, breathtaking “Agnus Dei”. Yeree Suh (replacing an indisposed Hélène Guilmette), tenor Julian Prégardien and baritone Peter Harvey were adequate but uninspiring. Momentum picked up somewhat after intermission, when the orchestra and chorus seemed to have found their footing. Just before the “Sanctus”, the men’s chorus moved between the sopranos and the altos, greatly improving the balance. There were other felicitous moments. Among them were the four instrumental soloists in the “Gloria”: Concertmaster Andrew Wan (why standing?) in “Laudamus te”, flutist Timothy Hutchins in “Domine Deus”, oboist Theodore Baskin in “Qui tollis peccata mundi” and on the horn John Zirbel in “Quoniam tu solus sanctus”. Lemieux and Shu sang a moving “Et in unum Dominum.” And led by Paul Merkelo, the trumpets blended in nicely. This concert formed part of the annual Montreal Bach Festival, held from November 22 to December 7. A housekeeping note: When is the administration going to replace the burned out light bulbs in the ceiling baffles? It’s sad to see a new hall already starting to suffer neglect.